This little prayer of St. Bernard, which has guided fishermen from the earliest days of the church, was the inspiring theme of the families who helped build San Diego’s beautiful Italian church in 1925. Since that time, Our Lady of the Rosary Church has continued to be a bright beacon of light for the Italian-Catholics of the San Diego area—the very center of their spiritual, social and cultural life. It is with a deep sense of joy and gratitude to God and Our Heavenly Mother Mary that we turn back the pages of time and relive a glorious near-century of prayer and fulfillment—of sacrifice and achievement. 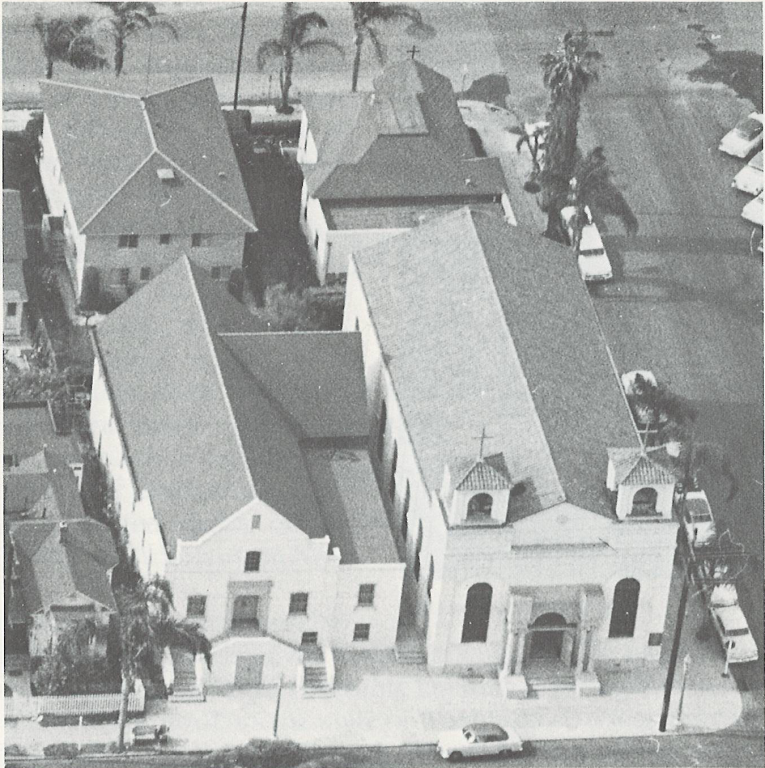 The history behind the development of Our Lady of the Rosary church reveals the unique story of an Italian parish, built as a labor of love by the Italian-Americans of the San Diego area. It is the story of an entire people and their faith. It was December, 1921, when the dream of an Italian parish for the San Diego area began to occupy the thoughts of a young and zealous priest, Father Sylvester Rabagliati. A native of Italy and a student and scholar of St. John Bosco, Rabagliati went to Colombia in his early youth where he was ordained in 1894. He spent six years as a student of the Spanish College in Bogota, after which, he came to the United States, arriving in Troy, New York in 1904. Rabagliati’s first appointment was at St. Joseph’s Seminary for Italian boys where he served as president for four years. Following this, he went on to establish a college for Italian-American boys in Hawthorne, New York. He was later appointed rector of the Church of Our Lady, Help of Christians, in New York City. After coming to California, he continued to give untiringly of himself to the needs of the Italian immigrants. He assisted in the building of an Italian church in San Francisco, while also devoting his time to giving missions among the Italians. His apostolate called him as far north as the state of Washington to teach the word of God. Besides his native tongue, Father Rabagliati spoke French, Spanish, Portuguese and English fluently. He was also an accomplished pianist. During this time, His Excellency, Bishop John J. Cantwell of the Los Angeles Diocese was concerned about tending to the spiritual needs of the growing population of Italian Catholics in San Diego. He sent for Father Rabagliati and assigned him to San Diego to pave the way for a much-needed Italian church for the region. 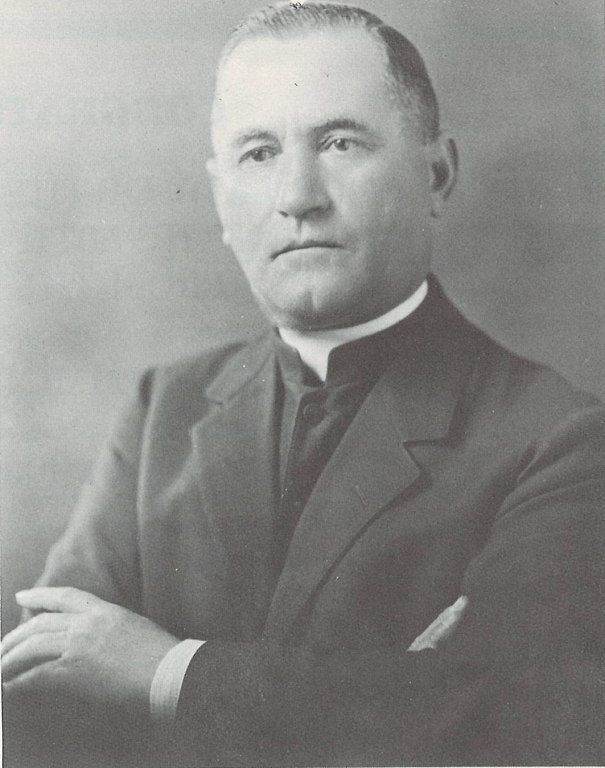 Father Rabagliati arrived in San Diego at the end of the year 1921 and was delighted with his new apostolate. He immediately began the work of trying to unite the Italian community and to provide a spiritual environment in the language and tradition with which they were familiar and could best relate. Father Rabagliati spent his first few months canvassing the area to determine the most suitable location for the church he was to build. After making the acquaintance of Italian families who could offer financial help, he noted the ideal site at the corner of Columbia and Date Streets. The property belonged to the Piedmontese family, Madalena. In addition to a house, there was another one-hundred-fifty feet of vacant land toward State Street, also belonging to the Madalenas. Fr. Rabagliati saw this area as the ideal location on to build the church. The most difficult problem of the entire undertaking—financing the work—was yet to be solved. Rabagliati began a personal campaign of ringing doorbells of the homes of the few Italians who had first indicated some interest. He continued knocking at the doors of the rich and poor, alike, finding in all a generous impulse to help according to their means. Some of the Portuguese families living in the area also offered their assistance. 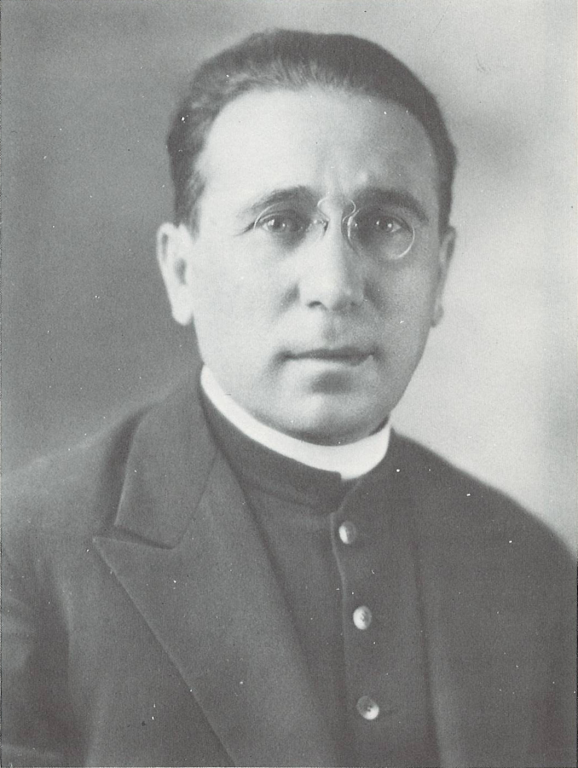 Among the first families who generously answered Father Rabagliati’s appeal were families whose names are still recognized in the community for their faithful commitment and generosity: Moretti, Guadagnini, Britton, Danieri, DeRocco, Moraschi, Delfino, Guatelli, Arata, Massa, Ghio, Zolezzi, Vattuone, Garcia, Rimoldi, Dentone, Carniglia, Castagnola, Olivieri, Canepa, Stagnaro, Castello, Picco, Urbani, Giolzetti, Strada, Madalena, Parmigiani, Trevesani, Bregante, Perna, Marsili, Bernardini, Zuanich, Baraciano, DeMartini, and many others. 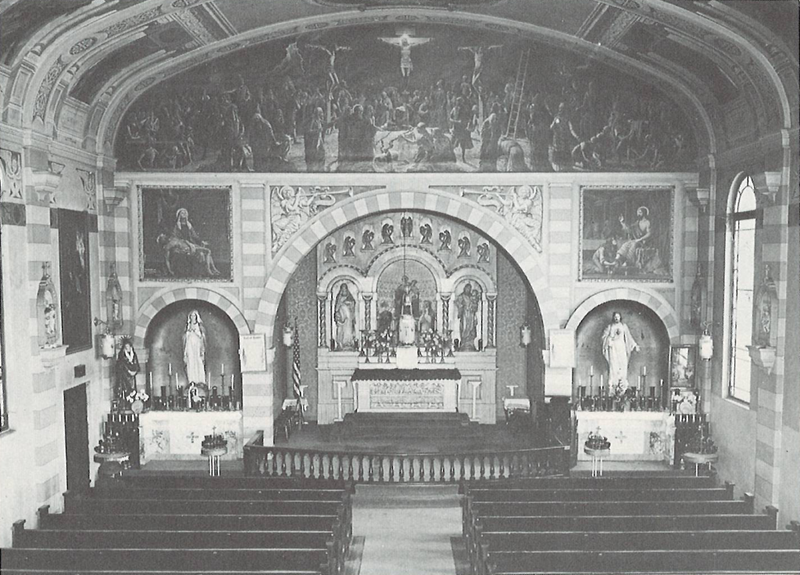 Contributions from these families enabled Father Rabagliati to purchase the house on Columbia Street and transform it immediately into a small chapel where the Holy Mass could be celebrated. However, the limited seating capacity of barely 50 was proving to be a real hardship on the congregation which had now grown to 2,000. Father Rabagiati continued to push ahead with his plans for a new church and his enthusiasm was infectious. His flock began to stage various benefits, bazaars and other fundraising events in order to help their pastor. They were not people of wealth. In most instances they were “God’s poor.” Yet, by their sacrifice and generosity they were determined to work with Father Rabagliati towards the realization of his dream—and theirs—to raise $23,000 to build a new church. In 1935, Fr. Rabagliati retired and returned to Italy. His successor, Fr. Pillola continued to raise money to pay off the debt of $28,000. The final payment was made March 21, 1946. The Lord blessed their efforts. In time, enough funds were raised to begin the construction of the present church. Ground was broken on August 17, 1923. By the end of December, most of the new church was completed and, on Christmas Eve, 1923, Our Lady of the Rosary was blessed. It was a moment of tremendous joy and thanksgiving for the whole community when their pastor offered the first Holy Mass at midnight on the beautiful feast of Our Lord’s Nativity. The structure in place, there now remained the work of completing the interior of the church. Father Rabagliati was hopeful of finding the finest artists available to do the religious interior décor so that his church would be in keeping with the artistic traditions of the churches in Italy. Sensitive to the needs of his people, he realized how important it was to create a familiar environment for them in this new land. It was his hope that, with this feeling of “home,” there would also be a renewal of their Faith and love of God. Father Rabagliati’s design for the interior would be one that would be appreciated not only for its aesthetic appeal, but far more importantly, as a spiritual aid in lifting the thoughts of men to prayerful reflection on the teachings of the Faith. To accomplish this work, Rabagliati contacted a famous Venetian painter, Fausto Tasca, then living in southern California, as well as a renowned Italian sculptor, Carlos Romanelli. 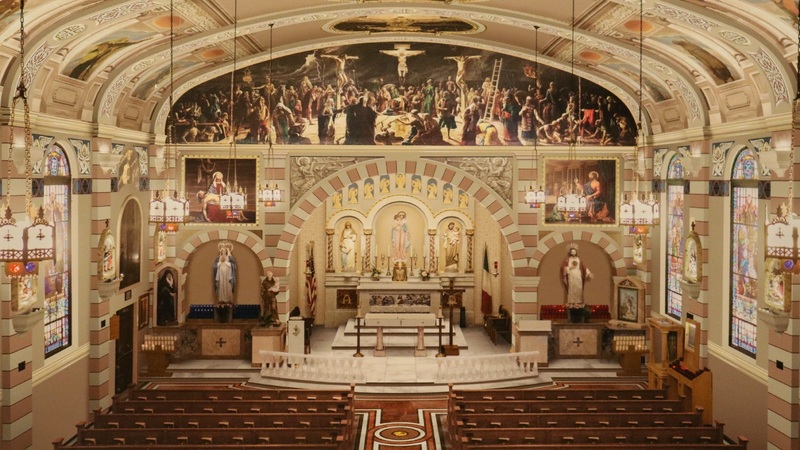 The inspiring beauty of the paintings did, indeed, increase the enthusiasm of the early parishioners, and the parish family continued to grow. Meanwhile, Father Rabagliati continued in his efforts to find ways to reduce the large church debt and the heavy burden of high-interest payments. Pastor Rabagliati sought to unite the parishioners in a spiritual organization to increase their faith and further the parish outreach. He was assisted in this endeavor by the Aratas, a fine Catholic family. The mother, Rosa Arata, a deeply spiritual woman, organized the mothers of the parish into the first religious society—the Archconfraternity of the Holy Rosary (Madonna del Rosario). Her daughter, Mary, also took an active part in the life of the parish, working with the children and youth. She was instrumental in gathering together a number of young women to form the Children of Mary. These two groups devoted themselves to religious and social activities to assist their pastor. Later, Mary decided to enter the convent and became a Sister of the Holy Family. Thus, the parish was blessed with the first vocation to the religious life. Father Rabagliati had a special concern for the religious education of the children and saw to it that catechism classed were held regularly for them. He had hoped to expand the program and build a school. However, ill health forced his retirement and he returned to his native Italy in 1935. His health continued to decline. In 1940 he was called to his eternal rest. The memory of Father Sylvester Rabagliati, the first pastor, will always hold a special place in the hearts of the Italian community—his personal sacrifices, faith and commitment to the needs of the people of God have made possible the beautiful church through which the parish family and visitors, alike, have come to know and love the Lord more deeply. The parish owes a debt of gratitude to the courageous and generous Father Rabagliati. On May 24, 1935, Bishop John Cantwell of Los Angeles appointed Reverend Vito Pilolla as administrator of Our Lady of the Rosary church. A native of Bitetto, Province of Bari, Italy, he began his seminary training in Rome but later transferred to Bari. There he completed his priestly studies under the guidance of Archbishop Giulio Vacanni and was ordained in 1907 at the age of 23. The years that followed saw much political unrest in Italy. As a priest, he was subjected to a great deal of religious persecution from political forces in the country. In 1927 he left his homeland and came to the United States. Shortly after his arrival in April 1927, he was called to California to become pastor of a church in Guasti in San Bernardino County from 1927 to 1935. Then, in 1935, he followed Rev. Rabagliati as the second pastor of Our Lady of the Rosary Church. Father Pilolla faced many difficulties when he assumed his new assignment. One of his immediate concerns was that of trying to solve the seemingly impossible problem of paying the church debt. A man of deep faith, he was not to be discouraged and relied on divine Providence to show him the way. His answer came in the generous response of the Italian fishermen who banded together with their pastor to save the church. The fishermen agreed to donate a certain amount from each ton of fish they caught. With this commitment of financial support these dedicated men were able to make the final debt payment on March 21, 1946. In 1938, a group of Sicilians from Porticello formed a society to honor Mary—La Madonna del Lume (Our Lady of Light). That was followed in 1940, when another society was organized by the Sicilians from Aspra, La Madonna Addolorata (Our Mother of Sorrows). Other religious societies were eventually organized. The Society of the Sacred Heart was formed by the Portuguese families; and La Madonna del Paradiso (Our Lady of Paradise) was organized by group of Sicilian parishioners from Mazara del Vallo. Meanwhile, Father Pilolla had another project in mind: building a hall near the church to be used as a religious-social center for the Italian community. Mrs. Guadagnini came to the priest’s assistance by helping him in the purchase of property adjacent to the church. After many months of difficult fund-raising campaigns, the property was purchased for a parish hall for events and religious services. It was dedicated by His Excellency, Charles F. Buddy, Bishop of San Diego, in May 1939. During this period, the countries of the world were engaged in another global conflict—World War II. The plight of the suffering peoples of the world deeply touched the heart of Father Pilolla, especially the war-stricken people in his native land. He became a great leader and sponsor in relief programs during and after the war, both at home and abroad. Father Pilolla’s ambitious plans for the parish did not end with the construction of the church hall which became the scene of popular spaghetti dinners, dances, bazaars and other social activities. His hopes for the future included the building of a school for children, repainting the exterior and interior of the church, and building a rectory to replace the old house originally purchased by Father Rabagliati. Again, the fishing families of the Italian-American colony came to the aid of Father Pilolla. They agreed to donate a certain sum from each ton of fish caught to build the rectory. Several thousand dollars had been collected for the proposed new rectory when the priest’s health began to fail. After suffering two months of an incurable illness, he died on April 23, 1949. 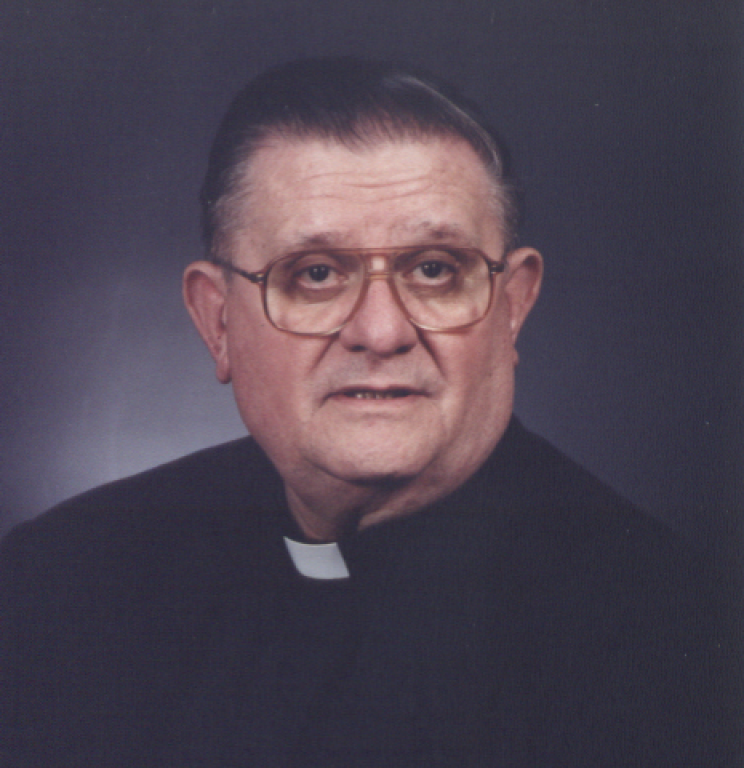 The passing of Father Pilolla was a deep loss to Italians everywhere. He believed strongly in the human dignity and worth of all of God’s children. A man of holiness and compassion, he was deeply committed to his life’s work in the service of the Lord. Father Pilolla gave fully of himself to the spiritual advancement of the church and the fruits of his priestly labor and sacrifice continue to be felt within the life of the parish community. Upon the death of Father Pilolla, a new pastor was appointed—Monsignor Joseph N. Trivisonno. A native of Cleveland, he pursued his religious vocation at St. Bernard’s seminary, Rochester, New York, and St. Mary’s Seminary in Cleveland, Ohio. Following his ordination to the priesthood on May 29, 1919, by Bishop John Farley of Ohio, he was sent to his home parish in Cleveland. The parish was the Holy Rosary, prophetically bearing the same name as the church he would come to love and serve in San Diego. His leadership was readily apparent and in three short years following his ordination, he became the youngest pastor in the Diocese of St. Martin’s Church in Ohio. There, he built the first parochial school for the Italians in the Diocese. In 1929, he was called back to his home parish, Holy Rosary, this time as pastor. He remodeled the church and paid off a considerable amount of the parish debt while, at the same time, taking care of the physical needs of 900 of the 1200 families of that parish that were on relief during the Great Depression. Ill health forced Monsignor’s retirement to the Pacific Southwest where he learned that Bishop Charles Buddy of San Diego needed more priests to keep up with the growing Catholic population in that area. He applied and was accepted, becoming pastor of Sacred Heart Church in Brawley, California. His leadership qualities were greatly needed in this area that had been hard-hit by an earthquake. Monsignor rebuilt the church and the school destroyed in that devastating quake. From there, he was called to Oceanside where he remodeled St. Mary’s Star of the Sea, and purchased the ground for their future parochial school. While serving as pastor in Oceanside, Monsignor was also appointed Chaplain of the Italian Prisoner of War Camps in California and Arizona. He had to travel thousands of miles each month to take care of these lonely men and bring them spiritual comfort and assistance. After the war, Monsignor was appointed first pastor and founder of St. Charles Borromeo Church in Point Loma. Again, he devoted his energies to building the first church in this parish, a parochial school, and a convent for the nuns. Following the completion of that work, Bishop Buddy assigned Monsignor Trivisonno to Our Lady of the Rosary. Monsignor faced many problems as pastor; however, he would soon be confronted with a threat to the very future of the struggling parish. A major freeway net that would become the southern extension of Interstate-5 was under construction. What would become known as the “cross-town freeway” cut right through the middle of the parish and the heart of the Italian community, causing a many old, established families to relocate outside the parish boundaries. The dire situation was further complicated by the growing number of business and commercial developments in the area. This further crowded-out the residential population. In the face of the mass exodus of families from the parish, the Diocese considered closing the church. Monsignor Trivisonno did not give up. He was determined to preserve the beautiful church that had been built for and had served as the spiritual home of Italian-Catholics since 1925. Monsignor petitioned the Italian Consulate in Los Angeles to designate Our Lady of the Rosary parish as an “Italian National Parish.” As a “national parish,” OLR would have no boundaries and this designation would allow the displaced parishioners to continue to worship and to support the parish of their ancestry and culture. Although the freeway had necessitated their move outside the area, the people remained faithful to their home parish. Under Monsignor Trivisonno’s leadership, a new rectory was built in 1951 and the church was completely repainted and redecorated. Through the generosity of many families in the parish, the beauty of the church was further enhanced by the donation of more than a dozen magnificent stained-glass windows to replace the original painted windows by Fausto Tasca which had become damaged with age. A beautiful new main altar with a statue of the Virgin Mary was installed and a modern electric organ was purchased. While pastor of Our Lady of the Rosary, Monsignor Trivisonno was appointed director of the Holy Year pilgrimage from the Diocese of San Diego to Rome in September 1950. He involved himself in numerous civic and cultural affairs for the benefit of the parish. He also organized the Italian Fair—which became an annual cultural event and paved the way for the popular Art Walk celebrated in Little Italy today. The annual event was designed to bring citywide attention to some of the fine achievements of Italy’s gifted artisans in the fields of art and sculpture. Monsignor Trivisonno’s pastorate extended over a period of 20 years. Despite his declining health, he continued to lead the parish in its growing involvement in the spiritual and social activities of the community until the time of his death on February 2, 1969. Throughout his life, Monsignor cherished a special devotion to the Mother of God and turned to her for guidance and inspiration. Those who worked closely with him came to know and admire his charity towards those in need. Monsignor Trivisonno was knighted by the last King of Italy for his outstanding work on behalf of the Italian people. He was also made a Domestic Prelate by the Holy Father for his great zeal among the Italian people. He received the Gold Cross for his contribution to and work for the Boys’ Towns of Italy. The many churches and schools which Monsignor founded and helped build throughout his priestly life stand as a testimony of his dedication to the apostolic mission of the Church. The death of Monsignor Trivisonno brought the Barnabite Fathers to Our Lady of the Rosary Church. Also known as the Clerics Regular of St. Paul, the Barnabite order was founded over 400 years ago in Milan, Italy, by St. Anthony Mary Zaccaria, a very holy man of God. Like St. Paul, the ideal of the Barnabite is total consecration to God and to souls—spreading the teachings of Christ and His message of Love through many apostolates. The Barnabites are in Afghanistan, Argentina, Belgium, Brazil, Canada, Chile, France, Italy, Spain, Zaire, and the United States. The American Provincial Center is located in Youngstown, New York. In addition to the seminary, the Barnabites have also erected a shrine to Our Lady of Fatima in Youngstown. Known the world over for its magnificent and unique outdoor cathedral and grounds, the shrine is an inspiration to hundreds of thousands of pilgrims and tourists who come yearly for prayer and spiritual renewal. In 1968, two Barnabite priests, the Reverend Peter M. Bonardi and Reverend Paul M. Marconi, were sent to San Diego by their superiors in Buffalo to establish a Barnabite community here. Upon arriving in San Diego, they were given teaching assignments at Marian High School in Imperial Beach. However, following the death of Monsignor Trivisonno, Bishop Francis J. Furey appointed the Barnabite Fathers to Our Lady of the Rosary parish. 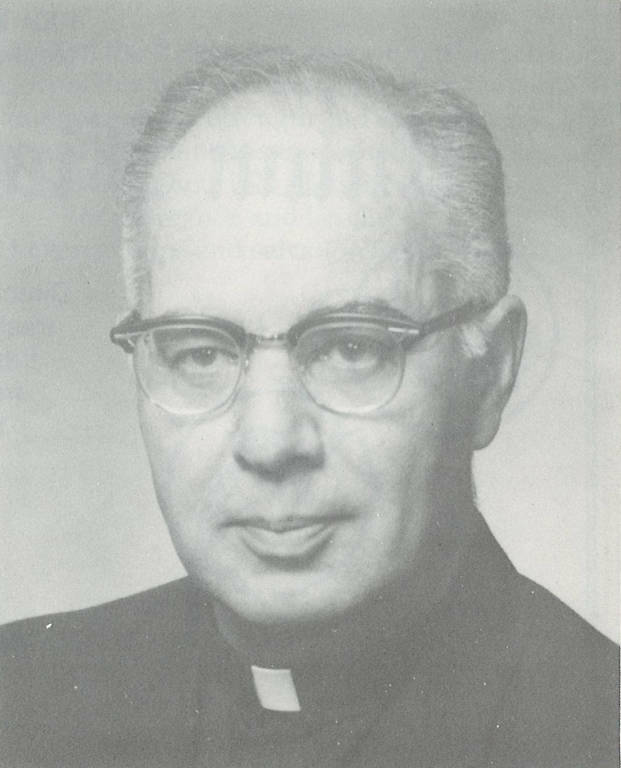 On March 2, 1969, Father Peter M. Bonardi was named administrator of OLR. He was born in Brignano d’Adda, Bergamo, Italy. He began his studies for the priesthood in Italy and professed his vows in Monza, Milan. He was later ordained a priest in Buffalo, New York on February 21, 1959. 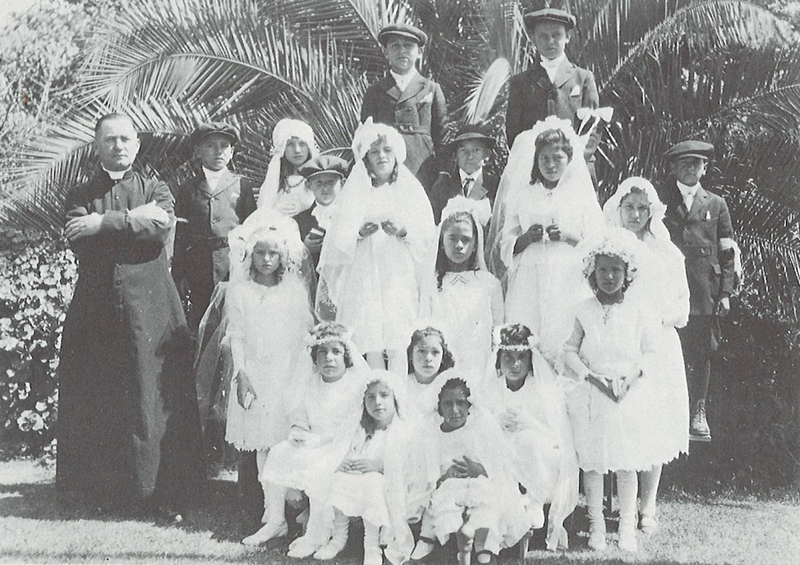 Prior to coming to the San Diego area, Father Bonardi taught in Catholic schools in the East. Following this, he was sent to San Diego where, in a short time, he became pastor of Our Lady of the Rosary. Together with his assistant, Father Paul Marconi, Farther Bonardi sought to deepen the spiritual, social and cultural life of the Italian community. The religious education program in the parish was expanded for both grade school and high school students. At this time, the interior of the church was also renovated and renewed. 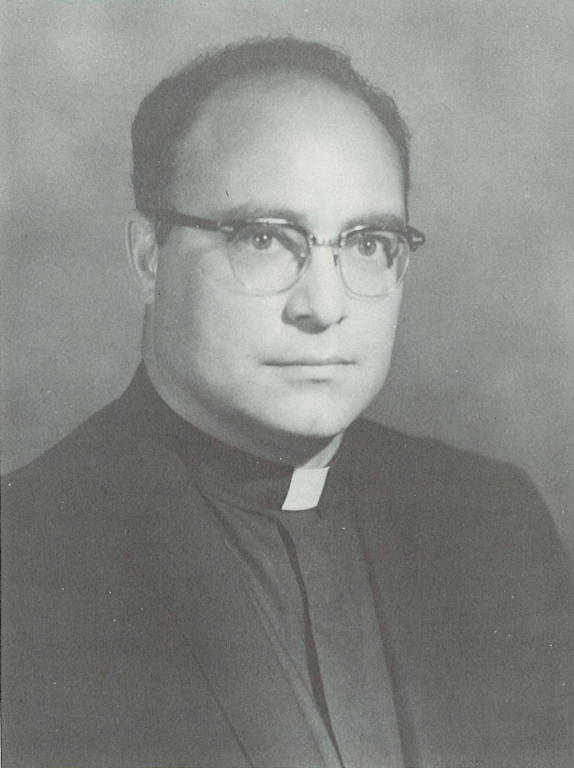 Father Bonardi continued to serve as pastor until September 1, 1971, when his superiors called him to Bethlehem, Pennsylvania to teach in a Catholic high school. Father Marconi was born in Racanati, Italy and was ordained a Barnabite priest in Rome on December 31, 1958. After his ordination, he came to the United States and pursued further studies at the University of Buffalo. Following a teaching apostolate, he was assigned as an associate pastor of St. James Parish in Oakville, Ontario, Canada for five years. 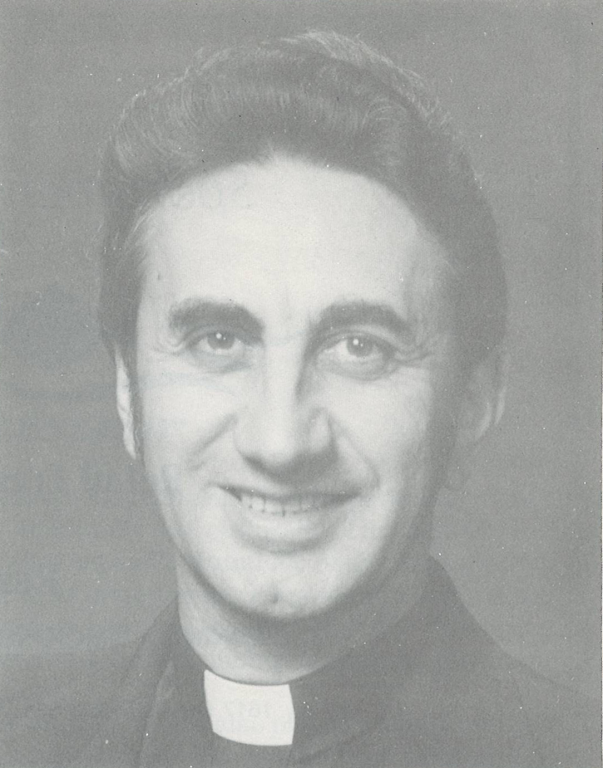 Father Marconi became pastor of Our Lady of the Rosary in 1971. He and his brother priests were strongly committed to the work of leading the parish community to a deeper love of God and of our Christian faith. New programs were encouraged and existing ones renewed. A Parish Council was organized to serve in an advisory capacity to the pastor and as a channel of communication to the entire parish. 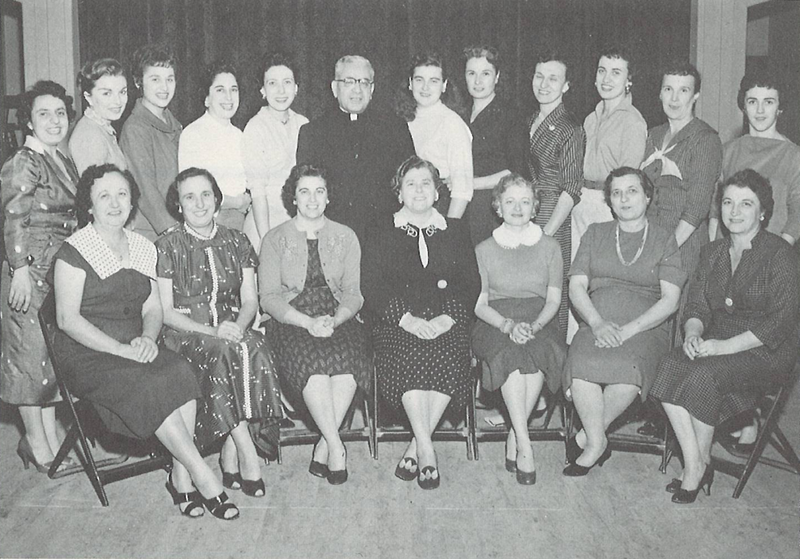 In the area of Christian education, the CCD School of Religion became a vital force in the life of the parish community. Father Marconi worked to strengthen the church’s apostolate among the Mexican-American families in the parish. On a cultural-social level, the dream of a cultural facility within the parish was realized with the establishment of the Italian Cultural Center. The ICC was instituted as an integral part of the OLR parish. Its organizing members were parishioners who developed programs that supported the cultural and religious curriculum and whose fundraising efforts supported the parish and the ICC by extension. Today, the ICC operates with a separate board of directors and offers a variety of Italian language classes and programs to enhance the understanding of the Italian culture. Father Marconi saw the hall as a home base for many of the Italian-American groups, as well as for other social-religious functions. Under his leadership, the social hall was enlarged and existing facilities improved. The renovation and improvements provided a modern-looking hall, better able to accommodate the growing demands of the community. Father “Vincent” was born in Durazzano, Province of Benevento, Italy. He attended seminaries in Florence and Rome where he was ordained a priest on December 31, 1956. He taught at the Minor Seminary of the Barnabites in Arpino and also served as their spiritual director. After coming to the United States in 1970, Father Vincent spent his first year as Chaplain of the Sisters of Charity in Buffalo. 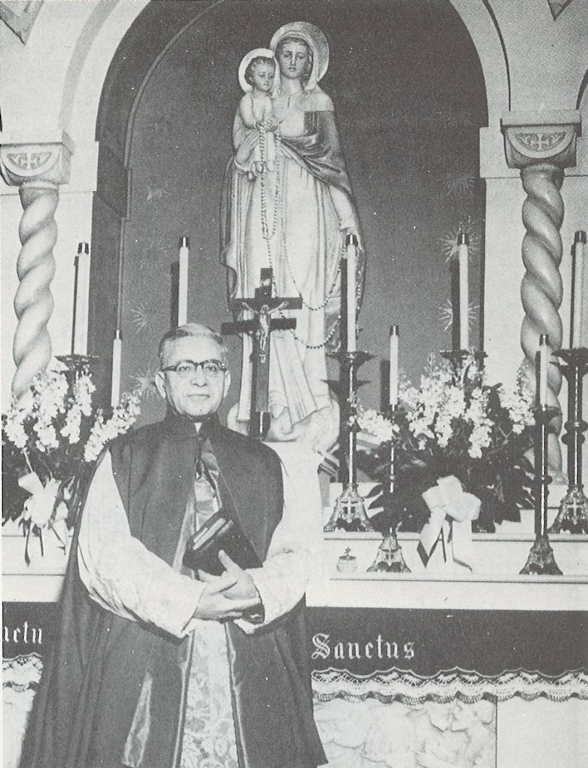 At the end of August 1971, he was called to San Diego as an associate pastor of Our Lady of the Rosary, devoting himself to the spiritual needs of the parish. Father Vincent participated in cultural programs such as the Italian Radio Hour, where his spiritual talks in Italian were heard each Sunday. He directed the choir, contributing some of his own original and inspiring music to the church liturgy. Father Vincent is currently stationed at the Chiesa di Santa Maria di Caravaggio, Napoli, Italy. Father Keenan was born and grew up in the Buffalo area of New York State. He was a veteran of World War II. After the war, he enrolled at Niagara University, Niagara Falls, New York, receiving his degree in 1950. His vocation to the Barnabite Order began in 1955 when he decided to enter the seminary in Youngstown, New York. He was ordained a priest on September 22, 1961. His first two assignments were in the teaching apostolate where he taught first at Bishop Gibbons Catholic High School for 10 years, and then in Bethlehem, Pennsylvania Catholic High School for two years. Father Keenan arrived in San Diego in September 1973 to help in expanding the apostolic work at OLR. He provided spiritual guidance and direction to such programs as the CCD religious education program, Synod—Church Renewal, Boy Scouts of America and many other activities. Father Keenan passed away on October 1, 1978. Father “Steven” was born in Milan, Italy in 1932. He was ordained in the Clerics Regular of St. Paul in 1957. He attended the University of Buffalo, New York, and received his Masters in Education from Niagara University. He served as Provincial Superior of the Barnabites’ North American Province, was elected Superior General of the Barnabite Order with residence in Rome in 1976. In 1985 he was assigned Pastor to Our Lady of the Rosary and served in that capacity for 25 years. Father Steven worked tirelessly for the people of the parish, both as spiritual leader and as a steward managing its growth. As the parish kept pace with the development of the neighboring community of Little Italy, he spearheaded the acquisition of a two-story brick building on a lot adjacent to the OLR complex. Although the building was not on the market, a committee of supporters led by Chuck and Kathy Weber, Tom Battaglia, Joe and Barbara Scott, and Vince Provenzano met with the owners in 1999 to negotiate on behalf of the parish, then met with the Bishop to secure the financing on a purchase price of $1.7 million. In January 2000 escrow closed on the property. The two-story brick building which originally housed a law firm was renovated to include classrooms for religious study and the pastoral offices. As a result of Father Steven’s dedicated stewardship and the generosity of many in the parish, the final payment on the debt was made November 2010. 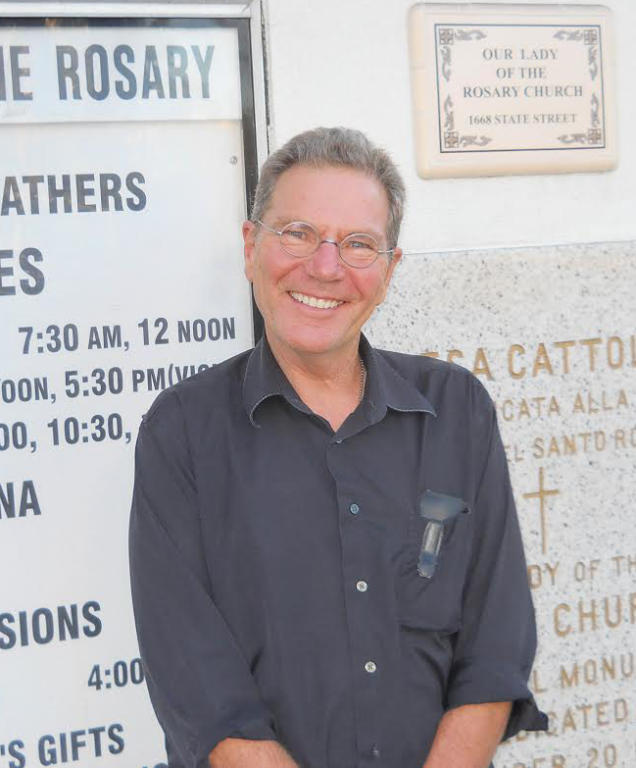 Father Steven was dedicated to preserving the church structure and oversaw the extensive earthquake retrofitting of the existing church, the overhaul of the electrical system, and the installation of the electronic bells which ring on the hour. He had new bathrooms installed, renovated the existing restrooms in the parish hall, and replaced the deteriorating outside hall staircase. With the new Pastoral Center, Father Steven saw a need to provide parishioners with access to religious articles and books. Under his leadership, Dodie and Ron Rotherham established and operated a religious bookstore and gift shop under the auspices of the parish. Management of “Our Lady’s Gifts” was taken over in 2006 by MaryAnn and Bill Gleason and expanded. Today, Our Lady’s Gifts is operated by OLR staff members and offers a broad range of religious gifts, cards and items of worship as well as a one of the largest libraries of religious publications in the area. It is the only religious gift shop/book store in downtown San Diego. In addition to his pastoral work at OLR, Father Steven was the spiritual leader of the San Diego Branch of Marriage Encounter. Through this ministry, he guided many couples to recognize the sacramental nature of their marriage vows and to respect each other as they work to attain holiness in their vocation of married life. The ministry continues to meet monthly at OLR. Father Steven saw the need to provide a place of worship for the faithful who desired access to the church outside the hours when the church could safely remain open. He instituted the Adoration Chapel—the only one of its kind in the downtown area. The chapel provides parishioners and non-parishioners the opportunity to pray privately, undisturbed, in adoration before the Blessed Sacrament. Sessions are scheduled during a time convenient to parishioners. A direct benefit from the institution of the Adoration Chapel was the increase in priestly and religious vocations. Two young men were ordained priests and a young woman entered a religious convent. Fr. Jay Bananal was ordained a priest in the Diocese of San Diego. 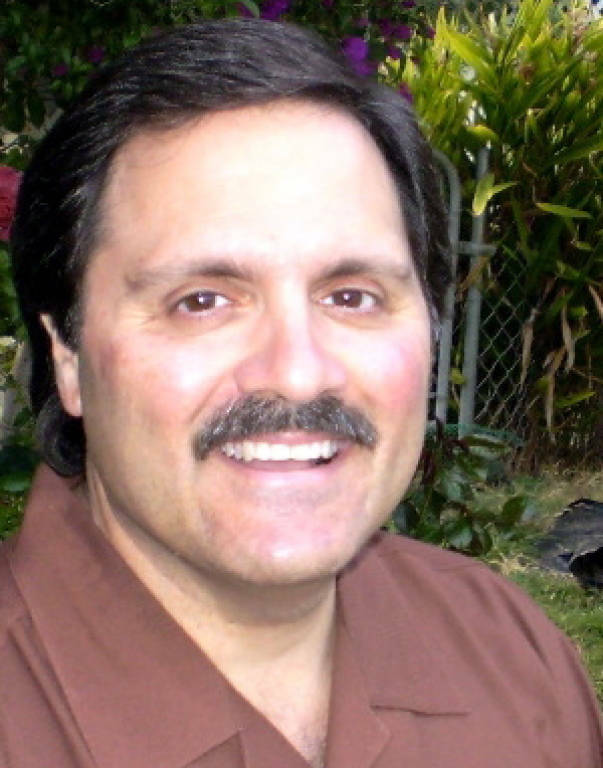 In July 2014, he was appointed associate pastor of St. Francis of Assisi parish in Vista and is currently assigned to St. Margaret parish, Brawley, California. Fr. Alex DePaulis began his spiritual journey at OLR and was the first Italian vocation. He was ordained in the Diocese of San Diego on May 30, 2014, and was appointed associate pastor of Saint Rose of Lima Parish, Chula Vista. Lucy Kim, now Sister Mary Pio, dedicated herself to religious service. She is a member of The Norbertine Sisters of the Bethlehem Priory of St Joseph located in Tehachapi, California. To enrich the religious and cultural aspect of worship, Father Steven instituted the annual OLR Festa to be held on the first Sunday in October, uniting the several Marian Societies to celebrate and honor the Blessed Mother. The focus of worship is one annual celebration of the Mass, procession to the embarcadero to bless the vessels moored there, followed by the veneration of the Eucharist. The first united celebration was held in 2010. The event has grown in acceptance and attendance typically exceeds 1,000. The festivities are sponsored by the Societa del Santa Rosario, the Societies of Madonna del Addoloratta, Madonna del Lume, and the Madonna del Paradiso, the Italian Catholic Federation, The OLR Guild, and the OLR parishioners. It is the largest of its kind in the San Diego region. Father Steven was very much in tune with the needs of all parishioners as well as the community. He saw the parish as a hub for spiritual support and growth. He provided a location for those to meet who were interested in classical Latin instruction. He welcomed the local Alcoholics Anonymous Chapter and provided a location on the parish grounds for the group to hold their meetings (Wednesday and Friday at 12 Noon, and Thursday evening at 7 p.m.). Mindful of the work of the local Goretti Group to encourage chastity and to strengthen faith among young adults, Father Steven gave a home to the San Diego chapter of the Goretti Group by providing office space for their administrative offices and ministry, as well as a place to hold their monthly meetings and events. Members continue to meet the first Friday of the month to celebrate Mass and to consecrate their mission to the Sacred Heart of Jesus. Under Father Steven’s direction, a scholarship program was established at OLR for students in the parish. Over a period of 22 years, scholarships were awarded on the basis of need to students attending local parochial schools. College scholarships were awarded to students attending both private and public colleges and/or universities. These scholarships were initially funded through the efforts of The Amici of OLR and that effort was carried forward by the Nuova Gen Committee, organizers of the biannual Ferragosto fundraising event—the biggest event of its kind in the San Diego area. Father Steven believed that the community’s strength was carried forward by the strong ties to its cultural heritage. Thus, he established the parish Memorial Wall as a way to remember the departed of the parish. He also continued to support the Italian Cultural Center as a means to keep the Italian culture alive in the hearts of the community. Father Grancini was recognized as a pillar of faith and a uniting force in the community of Little Italy. He did not see the church as a separate part of the whole, but believed that all segments of the community—commercial, residential, educational, as well as spiritual—needed to work together to create a neighborhood that is prosperous and safe, as well as exciting and fun so as to encompass the best quality of life for all. Father Steven passed away on January 2, 2011. He left an indelible mark, both as a spiritual leader and as a tireless supporter of the community he loved. Father “Louie” was born near Milan, Italy, November 15, 1931. Young Louis had a desire to become a priest and follow in the footsteps of his uncle Fr. Enrico Solcia, P.I.M.A. (1911-1948), who had been a missionary priest in India. Thus, in 1944 at age 14, Louis enrolled in the Barnabite Seminary which was located in Cremona, the birthplace of the founder of the Barnabites. He entered the novitiate in Monza, Italy and continued his education. Four years later, upon graduation from junior college in Lodi, Italy, he was sent to Rome to study Theology. He was ordained on December 8, 1957. Two years later Father Louis was sent to the United States to teach in a Catholic high school. Despite the fact that he did not speak English, he was a quick study and soon became proficient in the language. He enrolled in Canisius College in Buffalo, New York, to continue his studies. Upon transfer to San Pedro, California, Father taught at Fermin Lasuen Catholic High School while attending Loyola University where he obtained a Master of Arts in 1962. Father was called back to New York and assigned to teach in a newly established high school in Lackawanna. During his tenure there he taught Science, Latin, Religion and History. He was later transferred to Bethlehem, Pennsylvania to continue teaching while enrolled at Lehigh University. In 1976, he received a Master of Arts degree in Social Relations. 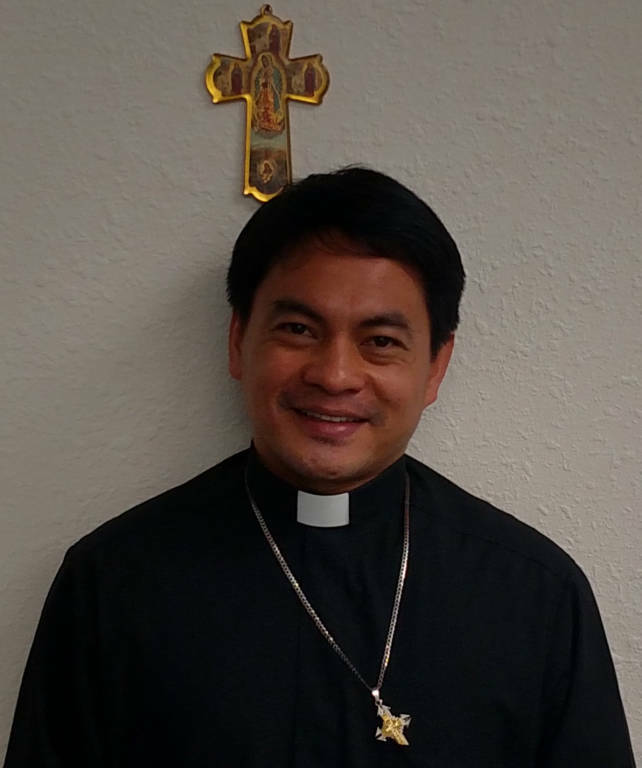 Father Solcia was transferred to Hamilton, Canada, to be the Pastor of Assumption Parish. While there he began a much-needed improvement program which resulted in building a new rectory and a large-event facility. When a need was identified in an Italian parish in Guelph, Canada, Father Louie was transferred there to minister to needs of the parish. In 1991, an associate pastor was needed at Our Lady of the Rosary parish in San Diego and Father Louie answered the call to serve. In his 23 years as associate pastor at OLR, Father Louie has left an indelible mark on the hearts and souls of parishioners. Father continues to minister with all the energy and passion of one who is dedicated to his life-long mission of service. He is Chaplain of the following: Knights of Columbus, Cabrillo Council; the Magnificat, a ministry to Catholic Women; Padre Pio National Devotions; and the Bernardi Center at Rady Children’s Hospital, a ministerial outreach to medically fragile children. Father is also Chaplain at St. Joseph’s Academy, San Marcos, where he hears monthly confessions and celebrates Mass for the students. As associate pastor at Our Lady of the Rosary, Father Louie conducts weekly church history classes, presides over weekly devotions to Our Lady of Perpetual Help, hears confessions and celebrates Mass daily. 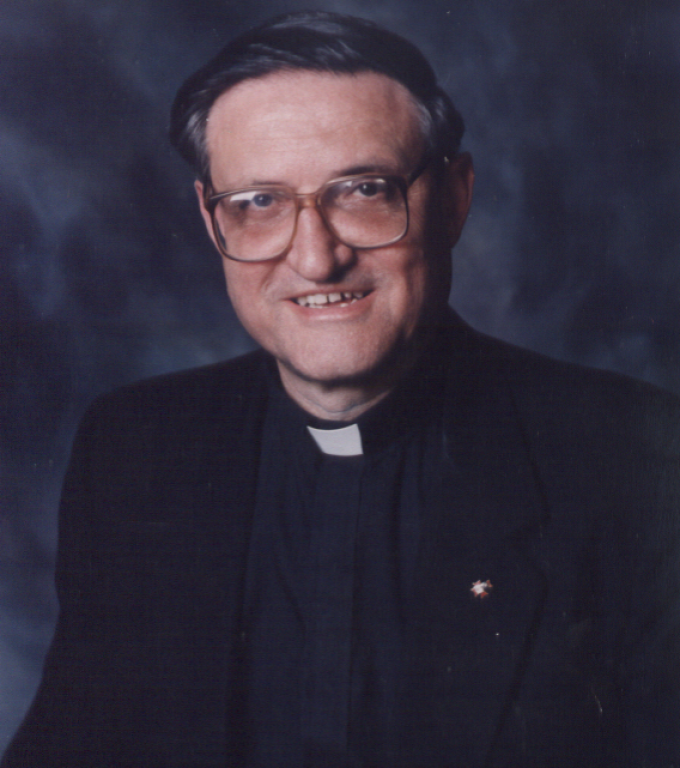 Father Richard was Associate Pastor August 18, 2011 to June 4, 2013. He was born on January 10, 1972, in San Vicente Libmanan Camarines Sur in the Philippines to Laureano de la Rosa Genetiano and Lucita Portugal Barrosa. He attended St. Camillus College Seminary in Marikina City, where he majored in philosophy. Father Richard received a Masters Degree in Pastoral Theology from Pontificia Universita Lateranense, Rome, Italy. On September 22, 2014, he celebrated his 14th year as a Barnabite Priest. Father Richard was recalled to the Philippines and has been elected the Pro-Provincial Superior stationed in the Philippines. Father “Joe”was born in Prosperidad, Agusan del Sur, Philippines. 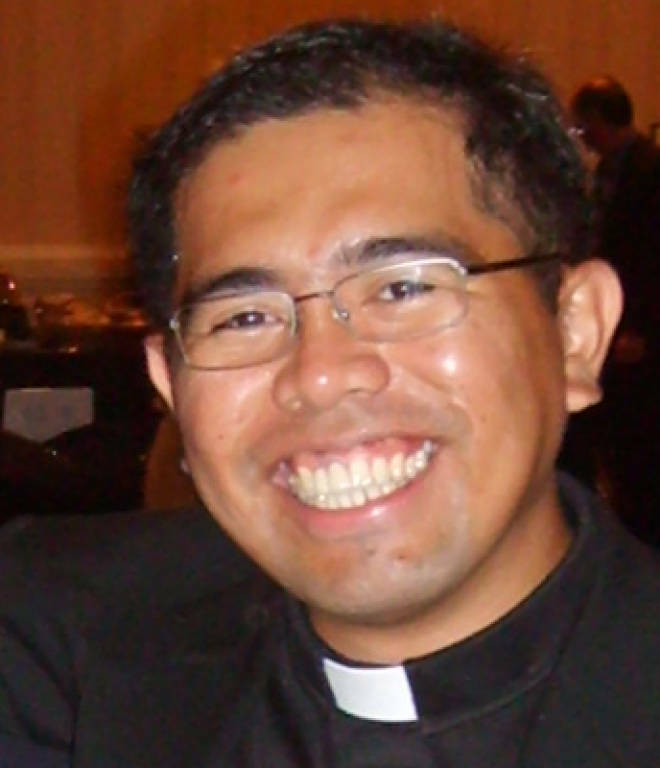 Father Joe has a degree in Philosophy from St. Camillus College Seminary, Marikina, and earned a degree in Theology at the Pontificia Universita Urbaniana, Rome, Italy. He professed his vows as a Cleric Regular of St. Paul (Barnabite) on May 31, 1999. He was ordained May 29, 2004, in Manila, where he did post graduate studies at Loyola School of Theology conducted by the Philippine Province of the Society of Jesus. He continued his studies at Regis College Toronto University, Canada. Father Joe’s first assignment was as resident priest at the Markina Seminary, St. James Parish, Oakville, Canada. In February of 2007 Father Joe began serving Our Lady of the Rosary Parish as an Associate Pastor and on the 7th year of his Sacerdotal Ordination became the 7th and 1st non-Italian Pastor of OLR since January 11, 2011 (1-11-2011). Father Joe continues to carry on the ideals of his predecessor, Father Grancini, by building harmony among the members of the Pastoral Council and Finance Committee as they dedicate their efforts to strengthen parishioner spiritual commitment and to preserve fiscal solvency while maintaining and beautifying the structures and infrastructures of the parish buildings. Working with the parish Building Committee, he has modernized the church sound system, painted the church, hall and rectory inside and out and beautified the church entry with marble embellishments. Through daily encouragement and spiritual stewardship Father Joe uses social media to advance the mission of the church. Fr. Albino was born in Tomas Oppus Southern Leyte Philippines. Fr. Albino has a degree in Philosophy at St. Camillus College Seminary, Marikina and a degree in Theology at Divine Word School of Theology, Tagaytay Philippines. Fr. Albino professed his vows as a Clerics Regular of St. Paul ( Barnabites ) on May 13, 2008. He was ordained February 18, 2014 in St. Anthony Ma. Zaccaria Parish in Silangan, San Mateo Rizal in the Diocese of Antipolo. Fr. 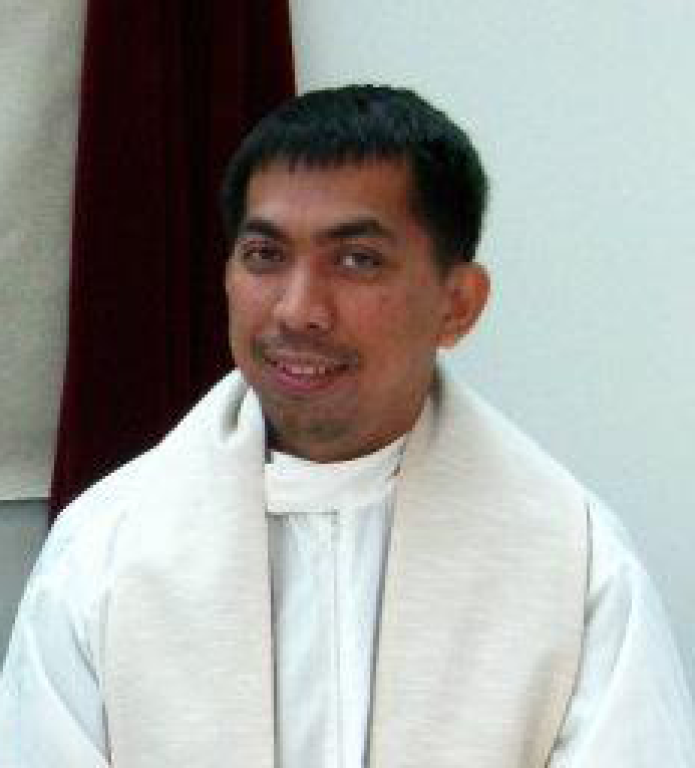 Albino started serving the Our Lady of the Rosary Parish on March 2015. Nick Amicone was an active member of OLR for 18 years and became the first ordained Deacon of the parish on June 8, 2007. Deacon Nick was responsible for the two-year Confirmation Program. Nick was also a member of the parish Financial Committee, a member of Madonna del Paradiso and the Addolorata Society and had been the co-chair and Chair for the Our Lady of the Rosary Amici Ball. In 2008 Deacon Nick accepted a position as Director of Human Resources at Crimson Resource Management in Bakersfield. Deacon Stephen O'Riordan was born and raised in Los Angeles and moved to San Diego in 1971. He is married and has two sons, Jake and Simon. Deacon Stephen was ordained in 2008. At Our Lady of the Rosary he conducts baptism and marriage preparation and presides at baptisms as well as marriages outside of the mass. Deacon Stephen is in charge of Our Lady of the Rosary Lay Ministers (Lectors & Extra-Ordinary Ministers of Holy Communion). Deacon Stephen serves on the Our Lady of the Rosary Pastoral and Financial Councils and is the spiritual advisor to the Marriage and Family Life and Hospitality Ministries. For the Diocese of San Diego Deacon Stephen leads diocesan liturgical training for deacon candidates and serves on Bishop McElroy's liturgy team as Master of Ceremonies. Since the founding of Our Lady of the Rosary, Fathers Rabagliati and Pillola were committed to providing a strong religious education program for the children on the basic teachings of the Faith and preparation for the important sacraments of First Penance and Holy Eucharist. A church photo taken in 1925 depicts Fr. Rabagliati posing for a First Holy Communion celebration with the children. The Sisters of Social Service, who lived in the convent at the corner of Columbia and Date Streets, also played a vital role in the religious formation of the students. After the sisters’ departure, many parishioners came forth to continue the good work begun by the Sisters. To this day, this ministry continues to flourish under the guidance of our pastor, Father Joseph Tabigue, and his associate Father Louis Solcia, along with dedicated lay volunteers, committed to serve in this important apostolate. During the pastorate of Monsignor Trivisonno, the City of San Diego erected a freeway which cut through the homes and neighborhood of long-established families, leaving them to reestablish elsewhere. Despite this disruption, many families continue to keep connected to their “mother church,” returning for Mass and for their children’s religious formation, as well as for baptisms, confirmation, weddings, funerals, and other important events of worship and celebration. Upon Monsignor’s death, the Barnabite Fathers arrived, bringing with them their zeal and joy of sharing the Good News of Jesus with the youth. The program continued to draw families to the community. After the passing of Father Bonardi, Father Marconi became pastor. He appointed a principal to help meet the growing needs of the program which became known as the Confraternity of Christian Doctrine (CCD). The program continues to offer religious instruction to the children of our parish who are attending public school, starting with Kindergarten and continuing on to Confirmation. In time, classes were moved to Sunday morning to encourage attendance at Sunday Mass before class. They were held wherever space could be found, until the time when Father Grancini, as pastor, was able to purchase the building next door, converting it into classrooms and other needed facilities. The move proved to be a great blessing for the school. Combined with classroom studies, the children are able to engage in other meaningful activities and charitable projects throughout the school year, helping them to seek out ways to live out the teachings of the Faith in their everyday lives. Our catechists volunteer countless hours to the faith-formation of our students, presenting Jesus and His personal love for each one of them in a warm and welcoming learning environment. The teachers attend workshops and classes offered by the Diocese to further their mission as catechists. Striving to keep parents informed and connected to the program and the church is another of their important goals. It is gratifying to see alumni from our parish school, now returning as aides and teachers, to share with the children the love and teachings they received. May God continue to bless this special ministry and all those who serve in His name.